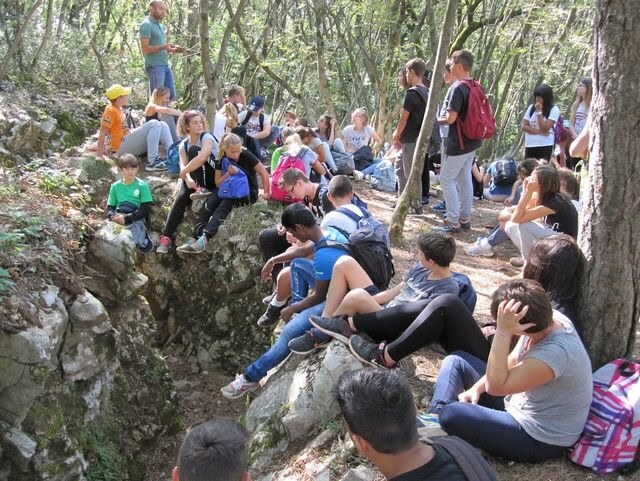 It is the 3rd time that we students of the final classes of the “Celso Macor” secondary schools of Mariano and Romans have” conquered” the peaks of Mount San Michele. We have made this choice to better know this part of the famous “Isonzo Front” and to understand what it implied. In fact it meant to leave the safe villages in order to go and fight in the Karst trenches. By visiting the places of “War” we intended to give a deeper meaning to the word “Peace”. We left from our schools in Mariano and Romans and met at the castle in Gradisca. 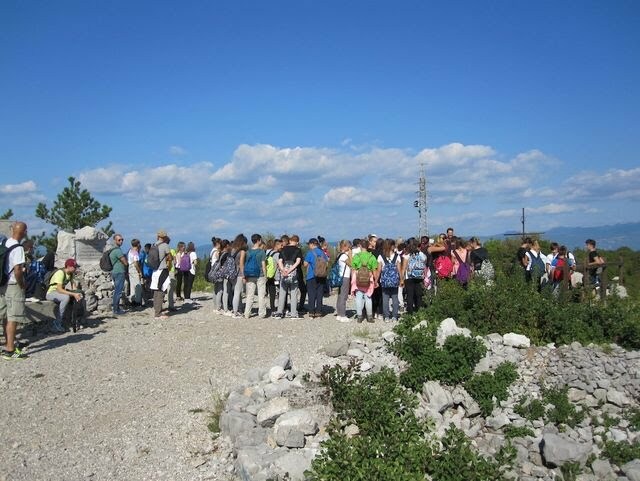 After crossing the River Isonzo at Sdraussina we started our ascent to the Sacred Area of San Michele. 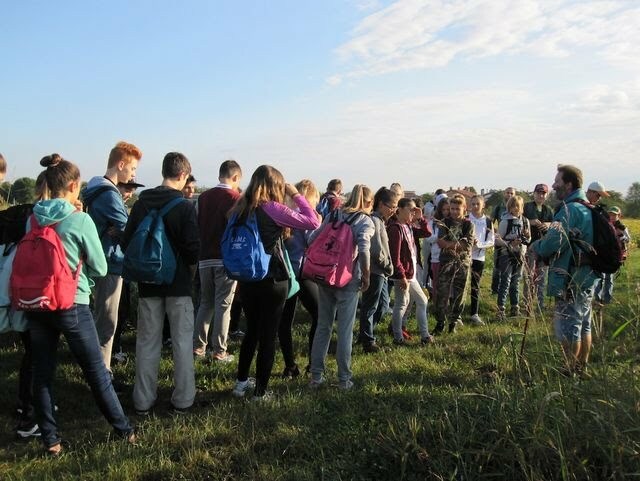 There we visited the Hungarian positions of the 20th Honvéd that, till August 1916 defended this important area from the assaults of the 3rd Italian Army. We found out that in this very place, under the San Michele peaks, the Austro-Hungarians used, for the first time, gas against the Italian soldiers. The attack ended in a carnage. 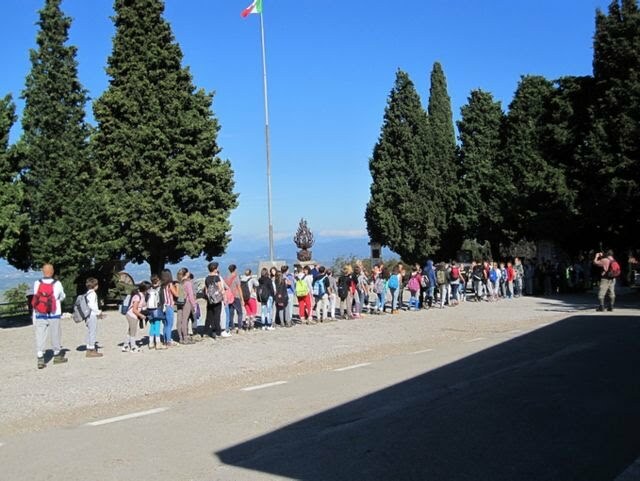 After a 16-km-walk we reached San Martino where we read some famous lines written by the poet Giuseppe Ungaretti. 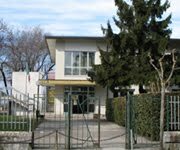 Departure from the school in Romans: this building was a military hospital during the war. A stop in the countryside between Romans and Gradisca. The two groups from Mariano and Romans meet at the castle in Gradisca. In the trenches under the San Michele. Here, in June 1916, the Hungarians attacked with gas and killed thousands of soldiers. The wind blowing in the opposite direction caused the death of a large number of Hungarians as well. We finally arrived at the Sacred Area of San Michele. Tired but happy for the “conquest” of the peak, we gave a High Five to each other. 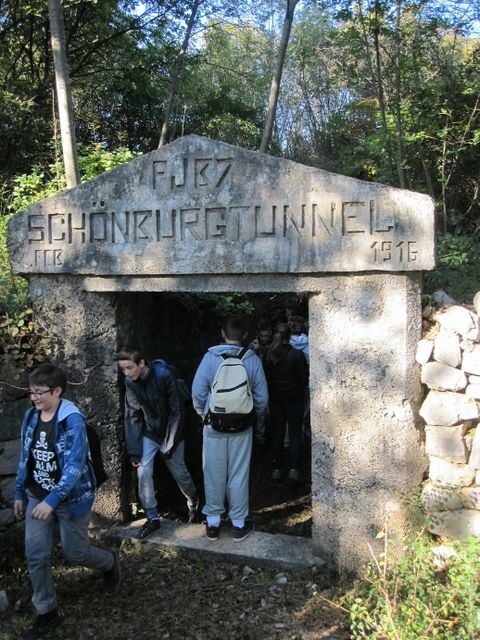 This is the entrance to the “Schonburgtunnel Tunnel”, a fortified position famous for the strenuous resistance opposed by the Hungarian army during the very last stages of the 6th Isonzo battle when the Italians conquered San Michele. On peak 3 there is a stone in memory of the Sacrifice of the Italian ang Hungarian soldiers. 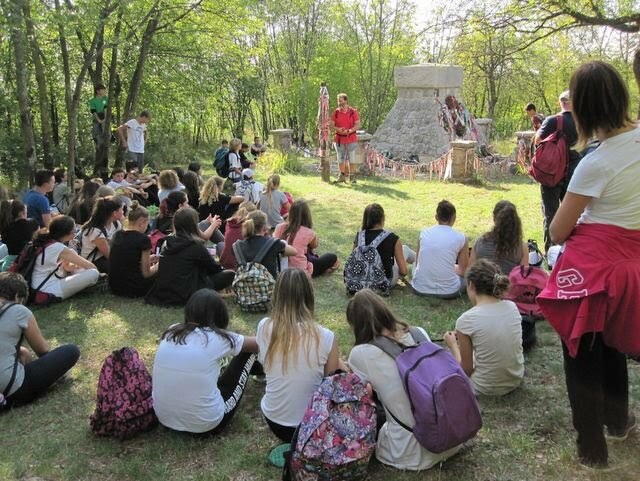 “On these peaks Italians and Hungarians soldiers fought as heroes and became friends in death”. 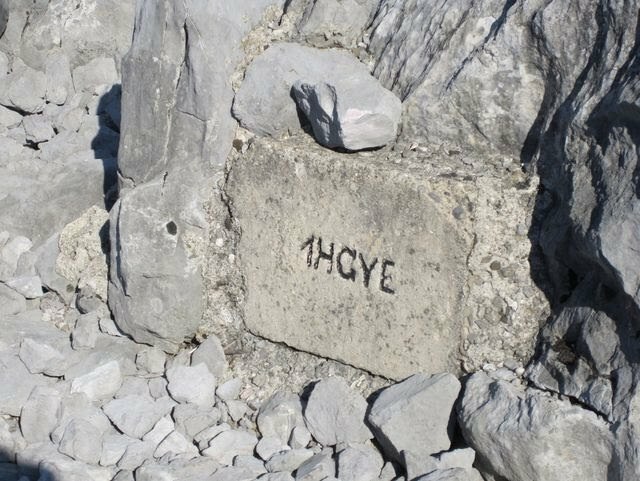 Here is a sign of the Hungarian presence on peak 3: the acronym “1HGYE” means “1st Honvéd Infantry Regiment”. We found out that they came from Budapest, the Hungarian capital. A respectful visit to the monument to the Fallen of the 4th Hungarian Infantry Regiment built in 1917, after Caporetto, by the soldiers coming from Nagyvàrad, today Oradea in Rumania. 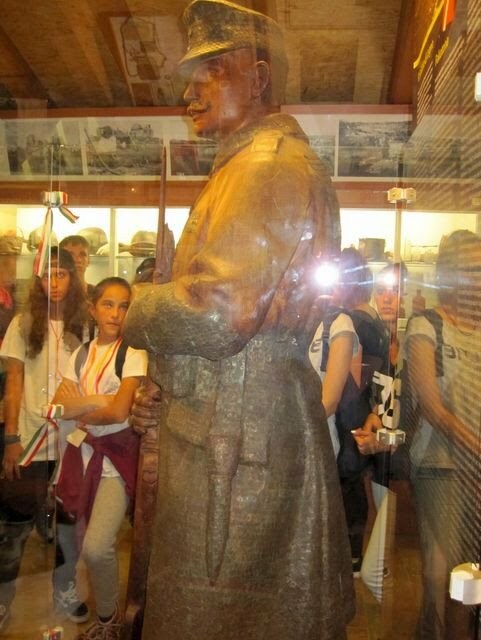 At the end of our hard day we saw the “Iron Soldier” temporarily exhibited in the small but precious Museum of the First World War in San Martino del Carso. It comes from the Hungarian town of Szeged. Those who wanted to help the war widows and orphans could donate a crown and had therefore the right to hammer an iron nail into the wooden statue. Thus, covered with thousands of nails, the “Wooden Soldier” became the “Iron Soldier”.